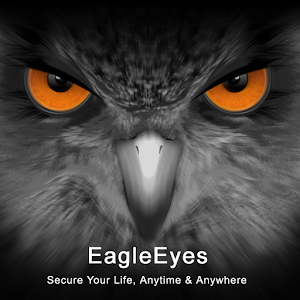 For both iPhone and Android based phones or tablets you will first need to go to the iTunes Store or Google Play Store and search for a free app called Eagle Eyes Lite. Note this app is created by the manufacturer so you do not need to worry about security as it is not an aftermarket app and you do not need the paid version the “Lite” version is fine. The next screen is going to ask you for the system information which you will need to enter in. Under Title enter in the name you would like to call it (it can be whatever you like only you will see the name EG My House). You will need to input the settings given to you by the technician during the installation. In the screen shot below you can see what it looks like but you will need to manually input the settings on each phone or tablet. IP Address: This is either a number or a series of words which will include ddns. Port: This will be a 4 digit number. Username: Is the username chosen. Password: Is the password chosen. ​Once you have done that please press the "Get Type" than the “Save” button. Once you have done that it will take you back to the main security system list. PLEASE NOTE: IF IT PROMPTS YOU TO CHANGE THE PASSWORD DO NOT CHANGE THE PASSWORD. THIS WILL CHANGE IT ON THE WHOLE SYSTEM. Touch the camera system on your list and the system will load up on your phone. The system will work on Wi-Fi or data but will not work if no Wi-Fi is available and your phone data is turned off. If it does not load and your phone data or Wi-Fi is not an issue, please go back into you your settings by pressing the “Edit” button which looks like a pencil and recheck that the information you entered is exactly the same as the information given to you. You can review footage directly from the app by pressing the Play button at the bottom of the app then choosing your site. Any date that has a circle around it has recorded footage. You can then choose the date and scroll at the bottom for the time you would like to see. You can change the camera channel but selecting the CH button in the top right corner. There are very detailed instructions within the app itself that can be accessed from the information button. There is a button that looks like a list of 3 bars that when you touch it you will see the information button as can be seen on the top left of the screen shot below (from iPhone app). ​Please do not change any settings in the recorder or cameras.